I have extensive experience writing marketing and communication materials. 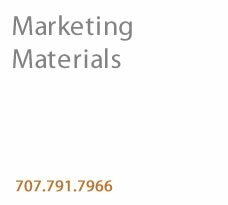 These include employee and customer newsletters, case studies, white papers, press releases, website copy, radio and video scripts, brochures, collateral materials, annual reports and corporate histories. Surebridge: Case study American Power Conversion: White Paper Intermountain Healthcare: PSA Radio Scripts, February 2007 Microsoft: Customer Newsletter.